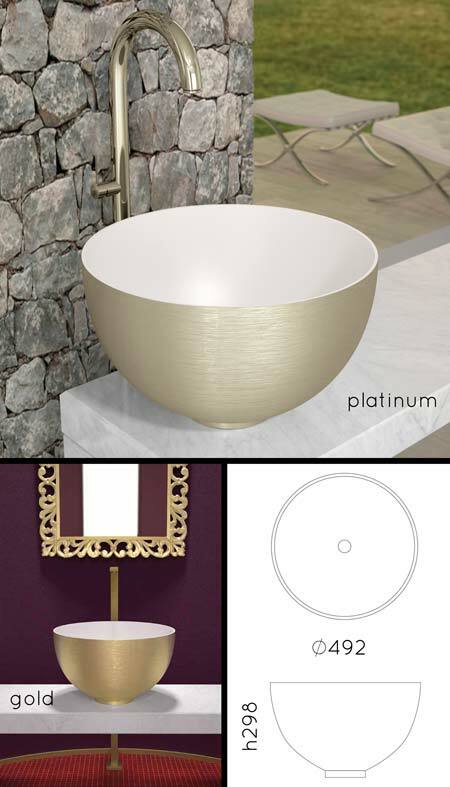 The Rio round basin is contemporary design for high quality luxury bathrooms. This large sink is nice and deep at 298mm and is made of an composite resin with a brushed metal finish, which is a new technology in bathroom design. Supplied with a choice of brushed gold or platinum outer finish, with both having a bathroom white smooth inside. All designer wash basins are made to order, please allow 3 to 4 weeks for the delivery. All sinks include the basin waste. * Satin brush basin outer.